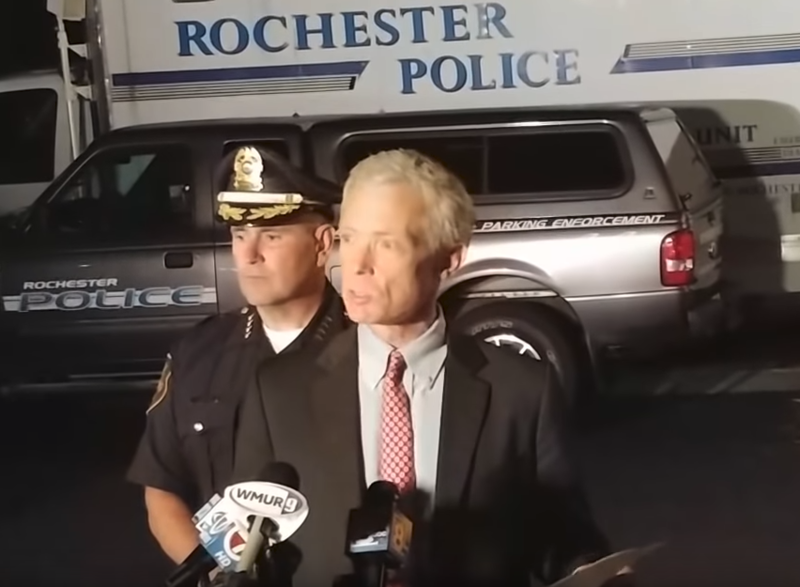 Attorney General Gordon MacDonald speaks at a press conference after an officer-involved shooting in Rochester in August. CONCORD – I won’t be attending the off-the-record, invitation-only meeting between Attorney General Gordon MacDonald and a handful of reporters on Nov. 7, but I am glad our readers responded when I asked for your advice. I believe that what elected and appointed officials in New Hampshire have to say to reporters shouldn’t be kept secret from our readers. After all is said and done aren’t we reporters simply your representatives at any meeting or event? Of about 20 responders, half said I should attend the meeting for a variety of reasons and half said stay away. “While an informal chat with reporters may be an ice breaker, a reporter’s job is to report,” wrote Michael Cahill. But that’s not happening. Kate Spiner, MacDonald’s new communications director, said most of the “handful” of reporters who were invited agreed to the off-the-record condition. Those who said no were just too busy the day after the elections to attend. Even honest journalists disagree on the right approach here. And one responder didn’t think reporters should be invited anywhere at all. It’s sad to see my profession so despised. All the more reason for us to insist on total transparency. Yes, I want to develop healthy working relationships with elected and appointed officials as I’ve done for three decades, but it is different now. The press has been weakened in New Hampshire because of the downward spiraling economy of news. Officials have gotten incredibly good in the meantime at directing and controlling the message. There are 60 percent fewer news jobs in New Hampshire than there were in 2000. Still, earlier this year, the Department of Education hired its first director of communications and now Attorney General MacDonald has hired one too. Communication directors in state government sometimes end up simply keeping reporters at bay and delaying our work. Gov. Sununu’s spokesman Ben Vihstadt won’t answer my calls, insists he only does business via email, but usually doesn’t respond to my emails either. “Signs HB 1474 – designating the New Hampshire Red as the official state poultry. Some communication directors serve an important function, know their stuff and make sure reporters get the information they need whether it is data or contact with the appropriate official. I single out the retirement board’s Marty Karlon and Bill Boynton at the Department of Transportation as examples of these. I would include with high praise Jeff Lyons at the Department of Corrections, but he has just left the communications arena and moved on to work at the library at the new women’s prison. This, at a time when the department has instituted new restrictions on the press’s access to interviews with prison inmates and Secure Psychiatric Unit patients. No matter how difficult the question – especially as corrections has been under fire for the treatment of patients at the Secure Psychiatric Unit, Lyons has always been the consummate professional. And I am sure Kate Spiner will do her job well. But with so few reporters in the state, why the need for more spokespersons? Are there times when off-the-record meetings with the Attorney General would be advisable. Maybe, but unlikely in a meeting that is billed as a discussion about improving the flow of information. Some of you agree with me. Others do not. I appreciate your taking the time to help me make this decision because at InDepthNH.org, we work for you.